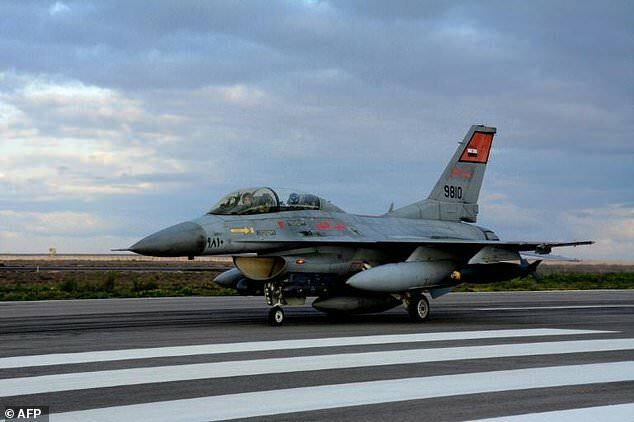 The Egyptian army Tuesday said its jets stroke 12 cars loaded with weapons, ammunition crossing into Egypt from Libya. The operation took place after the army received intelligence that “criminal elements” were trying to cross the western boundary, a statement of the army said. The army did not specify the location and the time of airstrikes. It however said that the convoy was crossing into Egypt with arms, ammunition and explosive material. 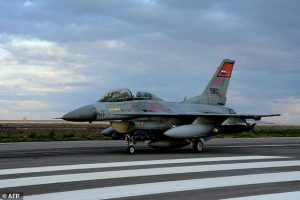 Egypt in May launched a series of airstrikes on alleged Libyan training camps of masked men who massacred Coptic Christians travelling to a monastery, south of capital Cairo, killing 29 of them and wounding several children and women. The attack was claimed by the Islamic State Group (IS). President al-Sisi directed the airstrikes against terrorist camps in the Libyan town of Derna in retaliation to the attack. Egypt supports east-based Libyan administration rival to the UN-backed government of National Accord (GNA). It also backs Field Marshal Khalifa Haftar aligned with the eastern government in his so-called fight against terrorism. Written by: KanelkaTagba on June 28, 2017. Posted by KanelkaTagba on Jun 28 2017. Filed under Headlines, World News. You can follow any responses to this entry through the RSS 2.0. Both comments and pings are currently closed.